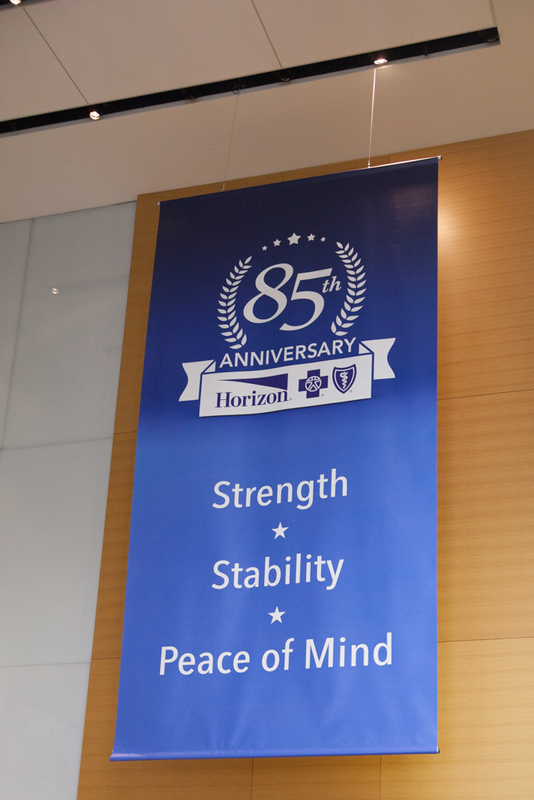 It was a banner day for New Jersey's first health insurance company - and one of the nation's first health insurers - as Horizon BCBSNJ unfurled a commemorative banner at its Newark Headquarters today to celebrate its 85th anniversary. A milestone eight-and-a-half decades in the making, the company's employees and officers were joined by local, state and congressional leaders in paying tribute to the company's commitment to New Jersey and serving millions of Garden State residents over several generations. Assembly Speaker Vincent Prieto also praised Horizon for its “bedrock” presence in New Jersey, particularly during a changing landscape in health care. “As we see uncertainties in our nation with the Affordable Care Act, we always depend on New Jersey's insurer, and that is Horizon,” he said. Other dignitaries attending today's commemorative event: State Senator Teresa Ruiz; Assemblywoman Eliana Pintor Marin; Assemblyman Thomas P. Giblin; Assemblyman Jack M. Ciattarelli; Essex County Executive Joseph DiVincenzo; Essex County Freeholders Wayne Richardson, Brendan Gill, Patricia Sebold and Deborah Davis Ford; Newark Council President Mildred Crump; and Newark Councilman Augusto Amador.